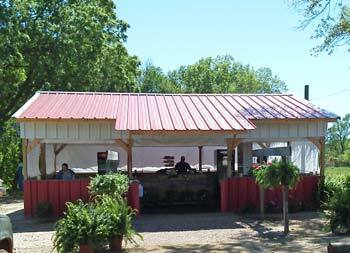 The original farm-stand market is located on Hwy 271, directly on the McPeak berry farm. A family-owned business, the market also offers tasty homemade ice cream based on the fruit that’s in season. Strawberry, peach or blackberry ice cream will satisfy your sweet cravings and allow you and your family to cool off from the Texas heat. Our second farm-fresh store is located in Gladewater. 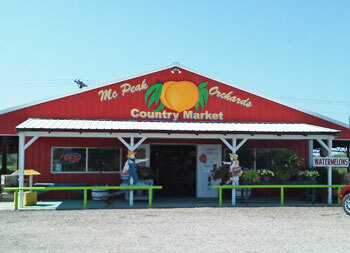 The market offers an assortment of plants and hanging baskets, in addition to the same freshly-picked Texas peaches, strawberries and blackberries, specialty ciders, and chowchow relish.